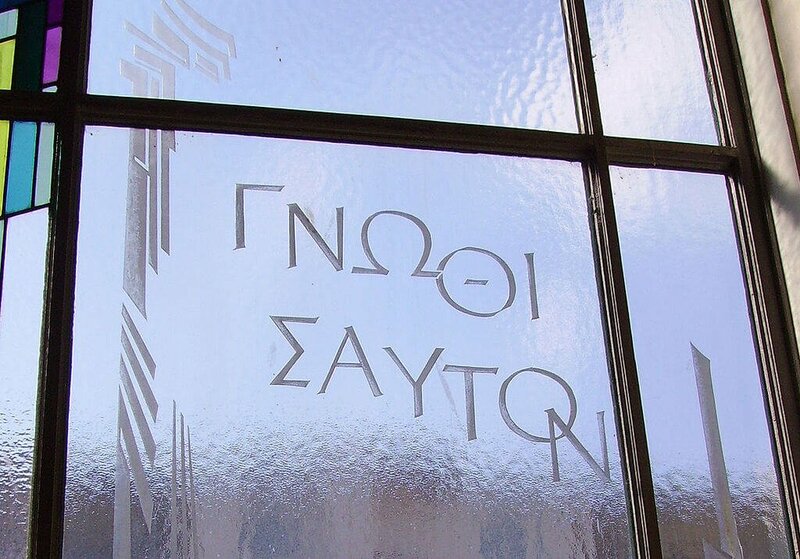 Know thyself, or as the Greeks from the Classical Era would say, « γνῶθι σεαυτόν ». But simply put in modern English: “know yourself.” As simple as this maxim of self-knowledge may sound, this maxim has been baffling philosophers since the classical era of Europe. The classical era, for which Athens is notable, had its share of philosophers and playwrights, the best amongst whom are still read to this day. 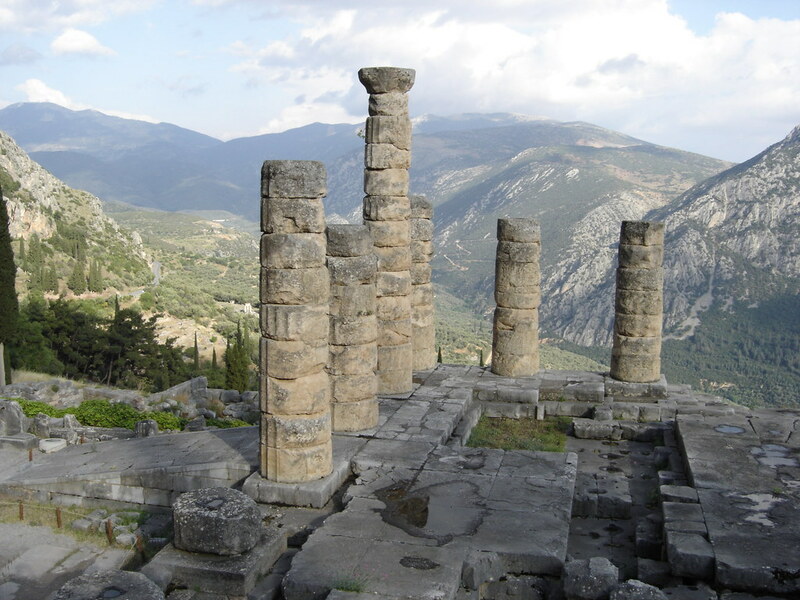 However, the maxim had its origins outside of Athens, in the famed sacred site of Delphi. It is said that it was inscribed on the forecourt of the Temple of Apollo at Delphi, the archeological sites of which are still existent, and surely, worth a visit. 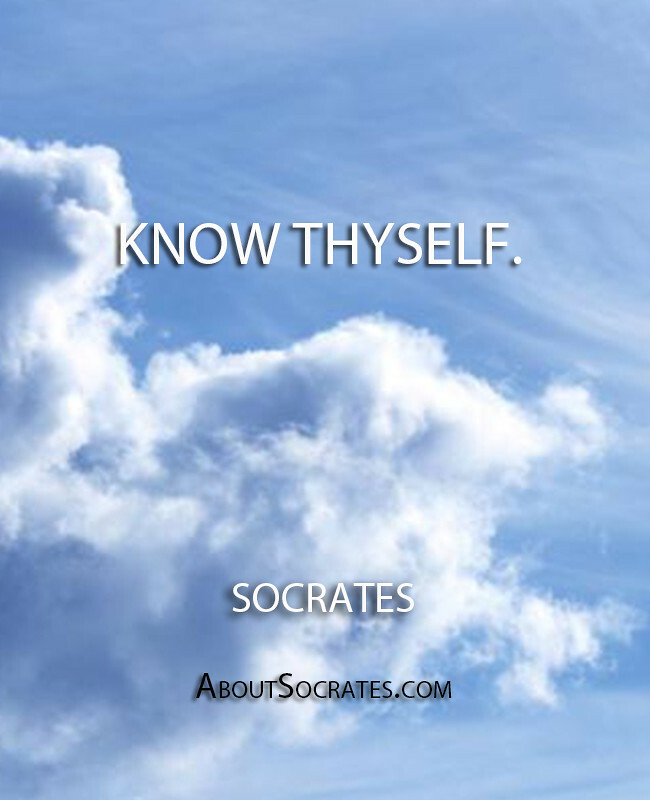 The one philosopher intensely affected by this maxim was none other than Socrates himself. According to Plato, Socrates was declared as the wisest man alive by the priestess of Pythian Apollo at Delphi, who was herself called the Pythia. He therefore set out to prove the oracle wrong, by questioning everyone who proclaimed themselves wise, simply stating that he was wise because he knew nothing. In doing so, he incurred the wrath of many, including that of the city-state of Athens (Greece was not a unified country like it is today), and was condemned to death by hemlock. He was accused of impiety, of worshiping new gods, and of corrupting the young, hence his condemnation. Being a proponent of self-knowledge himself, Socrates alludes to the Delphic maxim and utters his most famous adage, “An unexamined life is not worth living” (« ὁ δὲ ἀνεξέταστος βίος οὐ βιωτὸς ἀνθρώπῳ »), during the process of his trial and death, as recorded in Plato’s Apology. It may be something worth thinking about, in an age of the information superhighway and internet social networks. How well do we know ourselves? Do we even examine our lives in the face of the inundation by the internet and social networks? Certain modern psychological studies opine that self-knowledge is conducive to happiness. In an era of much illusion, with one’s own self and the world, a little bit of self knowledge may go a long way. Self knowledge could simply be the medicine of the soul. That should be worth something. An example would be explained in the following video. RazimAmun is a Diplomate in the Sciences of Religions (notably, in field of Anthropology of Religions) from a prestigious graduate school in Paris (EPHE). As such, he is interested in almost all things cultural and the ethos they represent. Why French people are attracted by Ireland ?